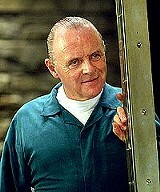 The man who invented shish ke-Bob: Anthony Hopkins as Hannibal Lecter in "Red Dragon." The appearance of the new film adaptation of Thomas Harris' novel, Red Dragon, suggests some odd and complicated ideas about literature, cinema, and maybe ourselves. For one thing, as that rara avis --- a prequel which is also a remake (in this case, of a 1986 movie entitled Manhunter, much of which it duplicates) --- Red Dragon anticipates a future already known to an eager audience through The Silence of the Lambs and Hannibal. For another, this movie only exists because of the power and popularity of Hannibal Lecter, who's merely a secondary character in Harris' first two serial killer novels, but who became the title figure in Red Dragon's most recent cinematic predecessor. Most important, all three novels --- and now, the three movies --- constitute an extremely unusual achievement: an extraordinarily successful trilogy (which will undoubtedly become a tetralogy) constructed around not a hero, but a villain. Without invoking even a hint of the supernatural, Lecter transcends the at-least-minimally-comprehensible evil of any known human psychopathology. And, God forgive us, we love him. The new movie depends heavily on the audience's familiarity with The Silence of the Lambs and Hannibal. It acknowledges and emphasizes its links to those films in some occasionally obnoxious visual asides: coy references, underlined phrases, arch glances directed right at the camera, a series of smug smirks and fawning gestures intended to gratify the initiated. 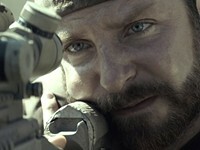 In addition to reintroducing a familiar character, the movie, like its original source, repeats a pattern of action and behavior, and a configuration of characters, established in the earlier works. The film opens with an efficient and entertaining expository sequence. Our old friend Hannibal Lecter (Anthony Hopkins) is seen displaying mild annoyance at one of the musicians playing the flute in a symphony orchestra. He's then seen serving a gourmet meal to fellow members of the orchestra's board, who unknowingly consume something like filet of flautist. Later the same evening, Will Graham (Edward Norton), the FBI agent consulting Dr. Lecter about a serial killer case, belatedly realizes the psychiatrist is the killer he seeks, and almost dies in an attempt to apprehend him. A series of sensational headlines and photographs in a sleazy supermarket tabloid then recount the murders, the hideous revelations of the trial, and the eventual imprisonment of Hannibal the Cannibal, as well as the retirement of Will Graham. The picture then reopens, with Graham's former boss, Jack Crawford (Harvey Keitel), pressuring the reluctant agent into service again to track down another serial killer: a slayer of whole families, whose bite marks on the victims have earned him the sobriquet of the Tooth Fairy. Although he makes some progress on the case, Graham once again must consult Lecter, who taunts and teases him in his usual manner, dropping helpful hints and bartering insight for privileges. The movie alternates --- with compelling detail, convincing authenticity, and the slick pace and polish that characterize the series --- between the investigation and the activities of the killer, whose ingenuity increases along with the intensity of his obsession and his insanity. Throughout the trilogy, Jodie Foster, Julianne Moore, and now Edward Norton all play essentially the same earnest, low-key, decidedly ordinary investigators, who are justifiably afraid of the man they desperately need: the brilliant, manipulative fiend they must interrogate. More than any of his predecessors, Norton's character understands that his success as a manhunter derives from the uneasy acknowledgment that he has a special understanding of certain kinds of killers, a sense of the monster lurking within the maze of his own psyche. Lecter provides the one constant in the books and movies, a disturbing proof of the compelling attraction of pure evil, the fascination of the abomination. His presence overwhelms not only the major characters, but also the Tooth Fairy, the actual killer of Red Dragon. In fact, Ralph Fiennes provides only a pallid and sickly impersonation of Francis Dolarhyde, the disfigured bodybuilder obsessed and inspired by William Blake's painting, The Red Dragon and The Woman Clothed With the Sun. For whatever reason (perhaps the vanity of movie stars), his supposed disfigurement is barely noticeable, and his muscular development --- which everybody, including his momentary lover (Emily Watson) mentions as significant --- is, in reality, nonexistent. He doesn't seem very tall or strong. His physique looks quite ordinary. In the absence of a scary villain or any other strong characters --- which must result from a conscious decision of the scriptwriter and director --- Hopkins must carry the picture. He succeeds admirably. Although he adds nothing new to a character who must be second nature to him by now, he maintains the part nicely. 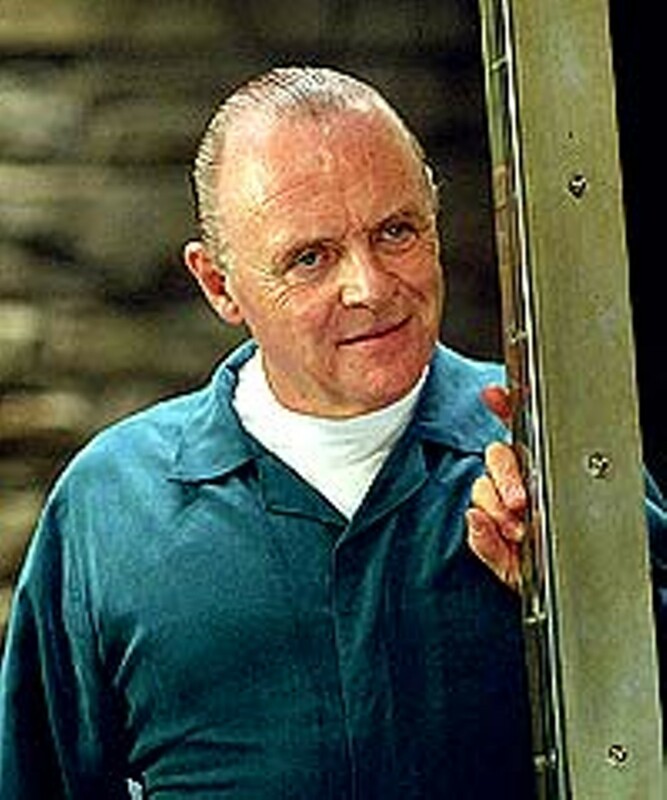 In Red Dragon, he continues Lecter's self-satisfied manner in the condescension with which he treats Will Graham, the pleasure he takes in outwitting his questioners, his delight in the exercise of a powerful and malevolent intellect, and even his measured enjoyment of one of his horrors of gastronomy. The character is a brilliant invention, for which Thomas Harris, his various adaptors, and Hopkins deserve enormous credit. It may say something not entirely wonderful about contemporary culture, but like it or not, the most memorable fictional character of the last decade is Hannibal the Cannibal. Red Dragon, starring Anthony Hopkins, Edward Norton, Ralph Fiennes, Harvey Keitel, Emily Watson, Mary-Louise Parker, Philip Seymour Hoffman, Anthony Heald, Ken Leung, Frankie Faison, Tyler Patrick Jones; based on the book by Thomas Harris; screenplay by Ted Tally; directed by Brett Ratner. Cinemark Imax; Cinemark Tinseltown; Hoyts Greece Ridge; Loews Webster; Pittsford Plaza Cinema 2; Regal Culver Ridge; Regal Eastview; Regal Henrietta.